Lush cosmetics is vehemently against animal testing... and they want you to be too. 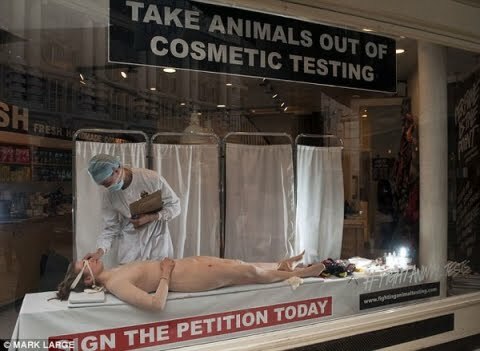 So to help consumers understand how truly horrific animal testing is, they created these disturbing live window displays to dramatize what animal testing looks like, but on live humans. Very powerful stuff!